The problem with any account-based music streaming service, from a corporate standpoint, is that end users are a shared password away from getting access to free media. Really, who hasn't shared their Netflix account once or twice? 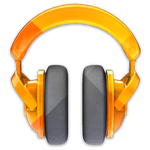 In an effort to prevent this kind of abuse, Google Music (likely at the request of the music labels) has instituted a cap on the number of devices you are allowed to deauthorize: Four. Per year. It gets worse, though. 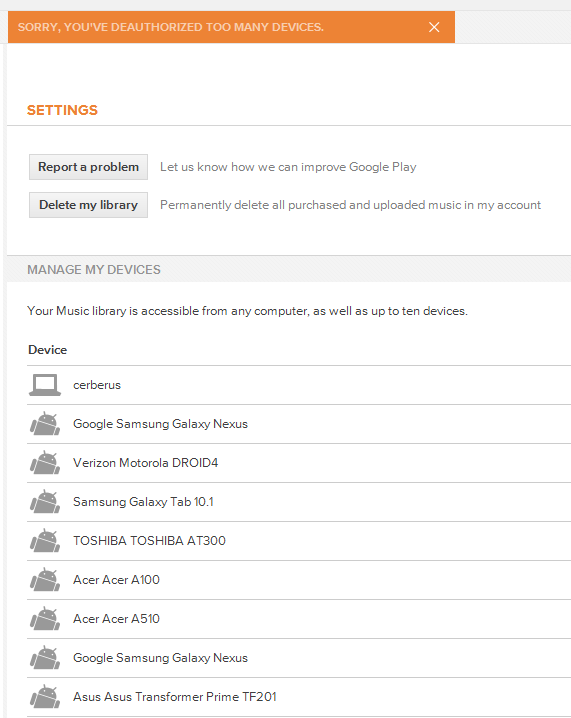 For the uninitiated, here's how it works: you are allowed a maximum of ten devices that can be associated with a single Google Music account. This includes phones, tablets, and even desktops and laptops. However, if you get rid of a device, or simply no longer want to use it anymore, you can deauthorize a device. The device will no longer be allowed to stream music from your account, and you'll get one of your ten spots back. This process, according to the new rules, will only work four times in a given year, however. For most regular users, this won't be a problem. However, it will have a huge effect on Android's most loyal customers: ROM flashers. According to several XDA members, flashing new ROMs counts as registering new devices. Heavy flashers can easily find themselves hitting this limit inside of a couple months. Especially if every ROM they test for a day or two gets counted. The ten device limit is substantial, if not terribly generous. Ten devices may seem like a lot, but when you imagine a user with a home desktop and laptop, an Android phone and tablet, and maybe a work computer or two, you've already gone over half the limit of authorized devices without a single ROM flash. Or, we'll point out, replacing a device. We can only imagine that the holiday season would be hell for a family that gets a couple new devices and shares an account with any member of their family. Which, sure, you're not supposed to do, but I doubt that a married couple sharing a music account is going to destroy the music industry. Once again, a seemingly-reasonable policy ends up affecting only the most devoted fans of the platform. Hopefully Google/the developer community can find a way to fix/circumvent this artificial limitation.